Steven Einhorn is a partner in Brown Rudnick’s New York office, and a member of the firm’s Tax Practice Group. Steven focuses his practice on a broad range of executive compensation and employee benefits matters, particularly in the context of mergers, acquisitions, and other forms of business transactions and reorganizations. His practice includes representing both employers and senior executives in the negotiation and drafting of employment agreements, equity compensation arrangements, severance agreements, nonqualified deferred compensation agreements, and other compensation arrangements. Steven provides counsel to clients concerning the design, implementation and ongoing concerns of employee benefit plans, including profit-sharing, defined benefit, cash balance, money purchase, 401(k), ESOP, as well as nonqualified, severance and welfare plans. He has represented clients on employee benefit matters pending with the Internal Revenue Service, the Department of Labor and the Pension Benefit Guaranty Corporation. He also advises tax-exempt organizations and executives of tax-exempt organizations in compensation and benefit issues, including those applying to Section 403(b) and Section 457 arrangements. 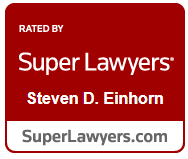 Because of his strong reputation in this field, Steven was named a "Rising Star" by New York Super Lawyers in the area of employee benefits for 2015, 2016 and 2017. Co-author, “Taxing Time For Tax-exempt Organizations,” BENEFITS LAW JOURNAL (Summer 2018). Co-author, “Handling Death Under An Equity Compensation Plan,” Chapter 5 In Selected Issues In Equity Compensation, National Center For Employee Ownership (11th Ed., Feb. 2014). Co-author, “Restricting Executive Compensation While Stimulating The Economy,” Taxation And Regulation Of Financial Institutions (May/June 2009). Included in the list of “Rising Stars” by New York Metro Super Lawyers in the area of employee benefits (2015-2017).